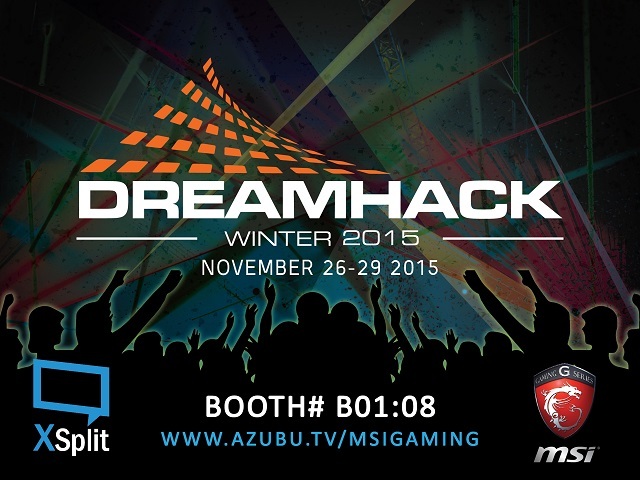 Last year was our first time attending DreamHack Winter co-exhibiting with MSI. It was a wonderful experience for us as we had fun interacting and also learned a lot. That being said, it was easy for us to decide that we want to go again this year. Just like last year, we will be co-exhibiting with MSI Nordic and will share a booth space (B01:08) with them. There will be a lot of CS:GO gaming action with pro-players and attendees for the event so if you're going to be in attendance, drop by the booth and see how you fare with other gamers! All these actions will be livestreamed using XSplit V2 to Azubu over at Azubu.tv/MSIGaming. We will be producing this live stream and as usual, ensure that the quality is top-notch. You can watch the live action at home for the entire duration of the event.